Two of the most popular schools of thought as to how the world works are referred to as order and chaos. While I am not going to go on a philosophical rant and try to prove one case or the other, I will say that in some cases, the events which are unfolding seem chaotic only because we do not know where they originated from. It looks like they are happening randomly, but that is only because we are not aware of the logical chain of events which led up to that point. In the end, everyone is the protagonist in his or her own story, and we all set events in motion, and in some cases they collide; perhaps we shouldn’t be so surprised at unlikely and seemingly-chaotic events occurring. What does that have to do with anything? Well, in Heart of the Matter by Emily Griffin, two women are living in the same town, with one of them, Tessa Russo, being a mother of two and the wife of pediatric surgeon, and the other one, Valerie Anderson, being the single mother of a six-year old child. Nothing links them together apart from being in the same town, they have very little in common, apart of course from the love they have for their children. Nobody could have predicted they would meet each other, but, as I mentioned it earlier, we all set events in motion in our own lives, and in some cases they collide without anyone seeing it happening. One night, a tragic accident occurs (which I am not going to mention for fear of spoilers), and the two women were brought together. From there on out it becomes a story of two women who are simply caught up in some very unfortunate events, going on a true journey of self-discovery which puts to doubt everything they have come to believe and expect out of life. At the end of their journey, they finally reach their own, personal illuminations and finally understand what really matters in their lives… all that because of an unforeseen accident. 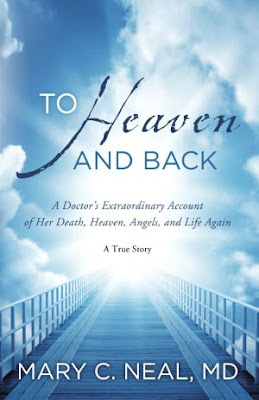 "To Heaven and Back" by Mary C. Neal M.D. Regardless of what path we may take in life or who we turn to for guidance, most of us are still pondering from time to time on the great existential questions which surround our existence: why are we here? What happens after death? Is there really a God out there? Chances are that as long as we live, we will never learn the undisputable truth, but it doesn’t mean that you should just lie in bed until you die without trying to figure it out… you’ll always have the time keel over and see everything for yourself. One of the more interesting sources people have come to explore in search of answers are accounts and testimonies from people who have had near-death experiences, and allegedly one of those people is a woman by the name of Mary C. Neal. In her book titled To Heaven and Back she describes her harrowing journey into the afterlife as she momentarily drowned during a kayak trip. Even though her friends were trying to save her, it was apparently too late as she went into the beyond. In the book, she spends time describing what little time she spent beyond the realms of death, detailing her visions of God, heaven, the angels, and the sense of great sadness when she realized she had left Earth too early. As she claims in the book, it wasn’t yet her time and so her soul was sent back, at which point she came back to life. The book goes beyond the experience itself as Mary looks into how her life changed afterwards, going into her opinions on life in general. Whether or not you are religious and believe in the Christian way of life you should take what is written in this book with a little grain of salt. In some cases, the author really jumps to conclusions in some cases, not to mention that bits and pieces of the story seem a bit suspect. You should just look at it as what a Christian remembers from her near-death experience and how it impacted her moral, political and religious views. All in all, a good read which provides some very interesting information, as long as you don’t take it close to heart. Dr. Mary Neal is an orthopaedic spine surgeon who lived a most extraordinary experience, having drowned while Kayaking on a South American river, and was brought back to life, afterwards claiming to have had an experience of life after death with religious overtones which she chronicled in her bestselling book, To Heaven and Back. For those who are not familiar with Emily Griffin, it suffices to say that she has already written numerous highly-acclaimed novels such as Something Blue and Heart of the Matter. 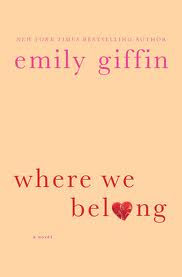 Emily has once again used her great talents as a writer to bring a new, original and simply unforgettable story to life in her newest book titled Where We Belong. 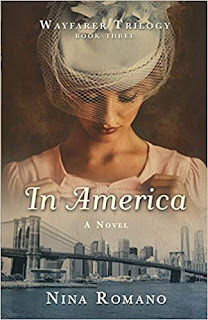 In short, it is the story of two women, the lives they live, their families, and more importantly, the unbreakable bond of loyalty that keeps them together.In greater detail, Marian Caldwell is a television producer, thirty-six years of age, living in New York. She has a great career, a relationship that leaves her satisfied, and so she ends up becoming utterly convinced that this is the life she wants. However, perfect worlds are only made for the purpose of being violently shattered when one expects it the least, which is precisely what happens when an eighteen year-old girl named Kirby shows up at Marian’s door. Kirby isn’t just some ordinary girl looking for help; she bears with her a certain past… more precisely, the exact past Marian was so desperately trying to forget. From the moment Kirby enters Marian’s life, nothing is the same anymore. She starts to question the basic morals and values which have led her to become the person she is, wondering whether or not she went wrong after all. That encounter jumpstarts a great adventure of self-discovery which leads Marian to look back on her entire life from a more distanced and wise perspective, until she realizes that the places we really belong to are the ones we expect to end up the least. All in all, Where We Belong is a very interesting character study, especially because most people can relate to it; after all, who hasn’t stopped at some point to re-evaluate their life, wondering subsequently if this is truly where they belong. Of course, don’t expect to get any life-altering answers from this novel because it is after all a fictional story. Nevertheless, it does make you think a lot, without forgetting that the story itself is very interesting if you are just looking to relax for a bit without examining any existential questions. Most of us tend to separate humans from animals, being quite convinced that we have evolved beyond being an animal. Well, according to the good-ole dictionary, an animal refers to any member of the kingdom Animalia, comprising multicellular organisms that have a well-defined shape and usually limited growth, can move voluntarily… and so on and so forth. Well, apart from learning that animals actually have a kingdom, this definition also makes a case for humans still being animals, and so does The Curious Incident of the Dog in the Night-Time by Mark Haddon. So what is this book about? Well, it’s about a man by the name of Christopher John Francis Boone, and he is tasked with investigating a grisly murder that will take him on a very unusual adventure. Naturally, like most protagonists, Christopher isn’t a dime-a-dozen guy you can find anywhere; he knows all the countries in the world, their capitals, and every single prime number all the way up to 7,057. Needless to say, that information never helped him to get laid as he lives a lonely life; he does not understand human emotions nor can he tolerate contact. On the other hand, he relates to animals quite easily… not to mention that he hates yellow. Oh, about the murder he is investigating, the victim is his neighbor’s dog. What makes this book truly stand out however is that the approach taken by Christopher is extremely serious; to him, the dog is more important than any human being, making this investigation much more important to him than even his neighbor. Needless to say, Christopher’s social awkwardness comes into play on many occasions, sometimes impeding his progress, and at other times creating some comic situations (unless you are Christopher, that is). All in all, a very entertaining read as the unusual characters and peculiar story fit well to create somewhat surrealist world where a dead dog becomes the center of focus. 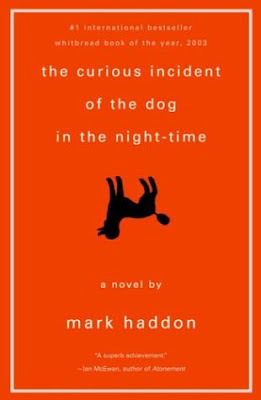 Mark Haddon is an English poet and novelist who dedicated virtually his entire career to writing, starting as far back as 1987 with a children’s book, Gilbert’s Gobstopper. Though he mostly writes children’s stories, he also wrote some books for adults, such as his most famous one, The Curious Incident of the Dog in the Night-Time. 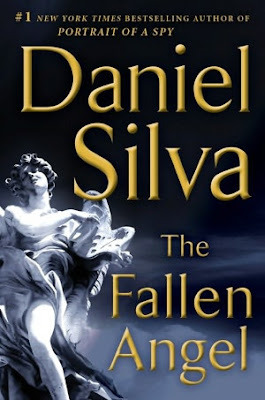 In The Fallen Angel, Gabriel Allon is an Israeli Intelligence officer who isn't happy with a life full of danger, death and explosions, and so after nearly losing his life in his last operation he decided to defect and seek refuge with the Vatican. Surprisingly, Gabriel is also a capable art restorer (a mandatory skill for Israeli Intelligence officers) and thus decides to spend his time at the Vatican by restoring one of Caravaggio’s masterpieces. On a morning like any other Gabriel is summoned by Monsignor Luigi Donati, the Pope’s private secretary. The body of a woman lies beneath the dome. The Vatican police, proving that even the pope’s policemen are the same as the cops in the rest of the world, suspect suicide which is good enough for them. Naturally, Gabriel knows much better… and so does Donati. The problem however is that Donati understands that publicly enquiring about such manners may put the Church at the center of a juicy scandal, and so Gabriel is to do find the murderer. Oh and before he sets off on his adventure, Donati cautions Gabriel that the first rule at the Vatican is not to ask too many questions. Gabriel follows some clues and soon finds himself face-to-face with a global criminal organization that specializes in stealing and selling timeless treasures, most of them antiques. Of course, this criminal network has a life of its own and it seems that Gabriel isn’t the only one who wants to do something about it. An inner member of the network is planning something so grand and terrible that the entire world may very well be plunged into chaos. While there are many novels out there which fail because they simply wanted to cover too many topics, in this case it all works out for the best. The book contains a fair mix of art, history, romance, and of course, mystery and intrigue. The book moves at a relatively fast pace that won’t leave you bored with overly long descriptions or meaningless chatter. 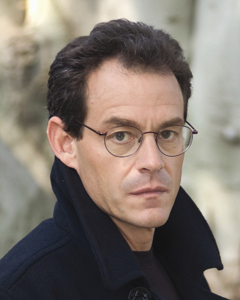 Daniel Silva didn’t just create a story here… he created some kind of alternative universe, complete with spies, lovers, masters, servants, priests, thieves and murderers. A quaint little town stands still on the Earth. Yesterday, nothing of note happened, and nothing was supposed to happen anytime soon. Today, a majestic circus, called Le Cirque des Rêves has appeared without a warning, and strangely, it is only open at night. But little do the people of this quaint little town know, beneath the black and white stripes on the tents hides something as grandiose as it is sinister: the game… or more precisely, the duel. As it happens, Celia and Marco are two young magicians who have been trained since birth to play the game, but a detail was left out: only one can remain standing at the end of it. The circus is not simply there to entertain the people of the town; it serves as the battleground of a fight that is only limited by the magicians’ imagination and determination. Despite Celia and Marco being bred to square off against each other, they end up giving in to the temptation of sweet love… a sweet, magical love that brings warmth and happiness to wherever it goes. Of course, the game isn’t concerned with such trivial, human pursuits, and it must go on regardless of what happens, for the fates of everyone, from the lowly circus technicians to the magicians themselves, hangs in the balance and largely depends on how the game is going to play out. 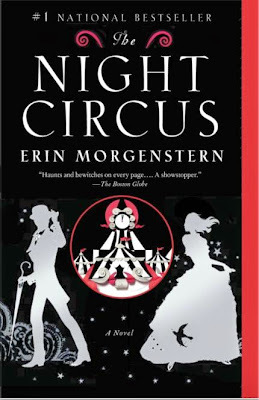 As you can imagine, The Night Circus by Erin Morgenstern is by far one of the most original books published to date. However, instead of there being a single element that stands out, it is actually the sum of the parts that makes it so unforgettable. It is all written in prose and the descriptions make for a zen-like experience during which you are transported into a completely different and magical world where anything is possible… as long as it happens in the circus. Erin Morgenstern is an American author and multimedia artist, the one responsible for writing The Night Circus, a novel that was translated into more than a dozen languages within two years of being published, not to mention earning her the Locus Award for Best First Novel, with the contract rights for a major motion picture having been sold to Summit Entertainment. It seems that ever since the Poltergeist movie came out small and creepy children have become somewhat of a necessity in most horror stories. I don’t know what makes them so scary. Maybe people are afraid of things they aren’t legally allowed to kick away for being annoying… maybe they remind some unfortunate souls of child support. 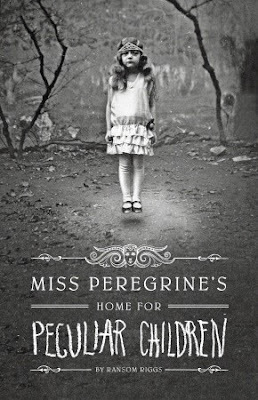 Whatever the case may be, it is undeniable that they can be really scary little bastards, and Ransom Riggs makes use of that to his heart’s content in Miss Peregrine’s Home for Peculiar Children. The book basically opens with Jacob, a regular sixteen year-old boy who suffers through a not-so-regular tragedy that sends him off to a remote island (bear with me, it’s not really important how he got to the island). On this island, as custom has it, Jacob finds an abandoned building with a sign that says Miss Peregrine’s Home for Peculiar Children. As Jacob starts to explore the place he realizes that it would be more appropriate to replace the word "peculiar" on the sign with "batshit crazy". The various clues he finds about the children who used to live in that place, one of which was Jacob’s grandfather, lead him to believe that the children had actually been quarantined to the island, and it wasn’t because their parents had enough of their tantrums… they could be dangerous. Worst of all, they could still be alive at this very moment. All in all, this book makes for a very interesting read if you are into vintage photographs and mysterious islands, or it can make for a brutally frightening read if you have a phobia of children. Regardless of what your approach to it is, people of any age or culture will find something to keep them hooked on this lengthy and somber adventure. Ransom Riggs is an American filmmaker and writer whose most notable effort to date is Miss Peregrine's Home for Peculiar Children, where he made use of numerous vernacular photographs he had found. Of course, he also has other works which have garnered a certain amount of attention, including The Sherlock Holmes Handbook and Hollow City. Regardless of whether you love or hate him, chances are that you know of Tom Cruise, who he is, what he does, and most importantly, what his views are on various existential questions, such as which religion to follow for example. However, most of us have never taken the time to really look at the man behind the screen, mostly because we have our own lives to worry about. Nevertheless, if you put aside the fact that Cruise took some big risks in his career which have earned him three Academy Awards as well as numerous Golden Globe nominations, then his life starts to get just a bit weird. For starters, it is no secret at this point that Tom Cruise is a highly-devoted Scientologist, but many aren’t really alarmed by that, probably because they don’t really know that much about Scientology. It spreads the belief that life began from an alien overlord by the name of Xenu… which for some reason sounds like it came from the English language (not to mention it’s awfully close to Xena, The Warrior Princess, whatever that suggests). In any case, regardless of what Scientology is or how he became affiliated with it, shades of the real Tom Cruise began to surface in his infamous moment on Oprah where he declared his love for Katie Holmes. In the same breath, he was bashing Brooke Shields for turning to the “Nazi science” of psychiatry. I don’t know what makes psychiatry a Nazi science, or what makes anything a Nazi science for that matter… but it seems Tom Cruise has a pretty solid grasp on such things, which isn’t that surprising when you think about it some. In any case, if you want to look into Tom Cruise’s life and see the real anti-Nazi scientologist who hides behind the pretty boy who broke the bank with Top Gun and Rain Man, then you should definitely have a look at Andrew Morton’s book titled Tom Cruise: An Unauthorized Biography. As you can guess, that book basically talks about that other side of Cruise’s life, the side he doesn’t show. While the things this book has to offer are interested to a certain extent, you should definitely take them with a grain of salt; there is more speculation than proof here... some of it is certainly fiction. Nevertheless, it still makes for a fun read if you are willing to pretend that everything you read in there is true, in which case you will be reading the story of a crazy scientologist who desperately tries to understand the world. 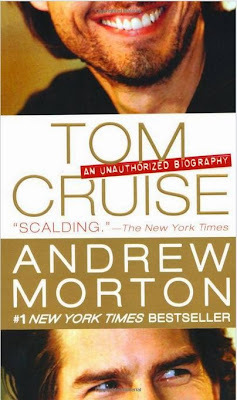 Andrew Morton is a journalist of English origin as well as a writer who seems to have specialized his works around biographies, having already written ones surrounding the late princess Diana, as well some of the more interesting celebrities such as Tom Cruise and Angelina Jolie, though it ought to be noted that several of his books have contested statements and assertions in them. Quickly, off the top of your head, how many psychopaths have you seen in your lifetime? Three? Two? One? None? Well, the truth is that you have seen hundreds… maybe even thousands of them… heck, chances are that you’ve seen one today when you were walking down the street. It is estimated that one in every hundred people is actually a psychopath a person who doesn’t feel empathy, is charming, manipulative, seductive, and worst of all, delusional. 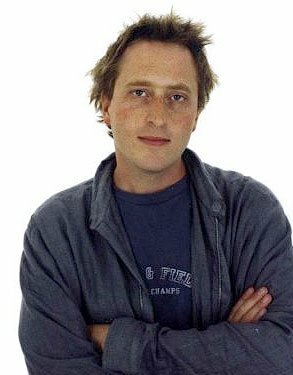 Jon Ronson is a man who decided to explore the phenomenon of psychopaths in modern society, and The Psychopath Test is the result of his journey. In his book, Jon Ronson describes how the investigation a hoax targeting the world’s premier scientists led him to psychopaths. He documents his discussion with a high-ranking psychologist who firmly believes that most businessmen, leaders and politicians are indeed psychopaths who have learned to function seamlessly in society. 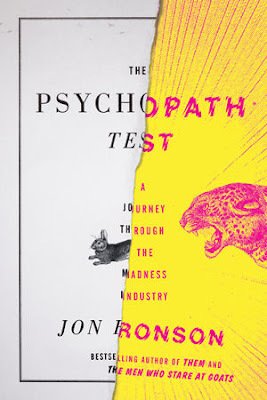 Ronson also met a patient inside an asylum who was described as a psychopath, but acted like a simple troubled youth… which led him to realize that the real, dangerous psychopaths of society are those who can’t be differentiated from others. Along the way, Jon interviews a former Death Squad leader committed to an institution for fraud and a famous CEO who was taking pleasure from firing people. His research takes him from underground LSD-based research projects all the way to genuine attempts to understand how serial killers see the world. This book is one of the most interesting reads I have had in a while as it makes a very convincing case for there being way more psychopaths than we believe. All in all, this book will come to show you that even the most normal and seemingly-sane people are characterized by their level of madness. 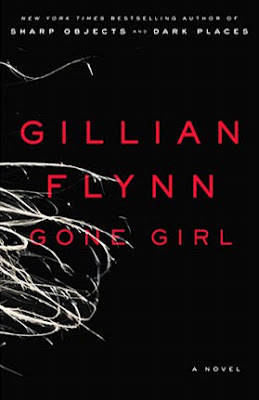 Already having made a name for herself with her two previous books, Sharp Objects and Dark Places, Gillian Flynn decided to venture once again into the world of literature and came out with her latest book, Gone Girl. The story starts off innocently enough as Nick and Amy Dunne are celebrating their fifth wedding anniversary. While all the presents are being prepared and the reservations are being made for the hotels and restaurants, Nick’s wife suddenly disappears from their mansion. Not as panicked as we would expect him to be, Nick isn’t really helping the situation as he spends a lot of his time coming up with cheesy daydreams about his wife and her head. However, as Amy’s diary is explored it becomes clearer and clearer that she is not your average housewife; she is more of a cunning and cruel alpha female who can whip up a storm inside anyone’s head. As the tension mounts from the police and Amy’s parents, Nick takes it upon himself to find his wife and sets out on a dark, filthy and grizzly journey filled with lies, deceit, and bizarre occurrences. As the police is closing in on their investigation, the people living in the town start to wonder if Nick may be responsible for everything… at the same time wondering if they really know those they love as well as they think they do. However, Nick refutes all accusations and with his twin sister, Margo, standing by his side, he becomes more and more compelled to find the truth: if he doesn’t find his wife, the people’s logical conclusion will be that he is the killer. Is he? 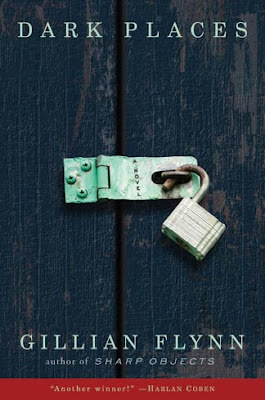 Just like in her other novels, Gillian Flynn uses a certain style that has perhaps developed into a trademark at this point, providing us with deep psychological insight into the minds of characters which aren’t necessarily good or bad. It seems that everything in her world remains gray, at least until the very end. If you are looking for an entertaining missing person mystery with sharp dialogs and interesting descriptions, then Gone Girl will be right up your alley. Gillian Flynn is a former television critic and currently an American author who published three novels so far: Sharp Objects, Dark Places and Gone Girl. Though she is still making a name for herself, her talent for writing smooth and intriguing murder mysteries sure has captured the imaginations of readers around the world. It’s a cold, January night at a secluded farm. Little Libby is only seven years old, and yet she watches as her older brother, Ben, macabrely sacrifices her mother and two sisters in what become known as "The Satan Sacrifice of Kinnakee, Kansas". Libby found a way to escape her farmhouse and made her way through the snow. Although she lost a few toes and fingers, she lived. Now, more than twenty-five years later, Libby, now a troubled and tormented woman, is living off what remains of a trust created to help her while her brother still sits in jail.Everything was going on its course until one day Libby is approached by The Kill Club, a society which is interested in notorious crimes. As they try to extract details on the case from Libby in hopes of setting Ben free, she has an idea which changes the course of her life; she will use her tragedy to achieve her ends. For a certain sum of money, she offers to investigate the case for The Kill Club, visiting all those involved in that night one way or the other. In her search, Libby is taken from seedy Missouri strip clubs to ghost towns in Oklahoma. While she goes on with her investigation the narration switches from time to time back to the night where it all began, re-telling the happening from the points of view of all those who were present, including Ben himself. Soon enough, Libby learns that Ben had a very disturbing relationship with a new girl in town. When the unimaginable and macabre truth is pushed into the light, Libby is forced to relive her past once again and escape from the real killer. 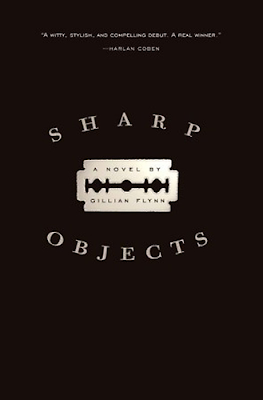 Gillian Flynn’s second effort, with the first one being Sharp Objects, is better in terms of style, pace and quality of writing. In other words, when it comes to the technical aspects of writing, everything is there and while some parts could have been better, it really doesn’t draw away from the complete picture. As far as the story goes, we are once again plunged into a dark, violent, hateful and disgusting universe of a troubled woman who had to endure a terrible tragedy in her childhood. While the twist itself may not be as surprising as we would have liked, the way in which it is delivered makes it more than worthwhile, without mentioning the spectacular finale. All in all, this is a great mystery murder thriller that will keep you on the edge of your seat for the whole ride. For many, tattoos are only works of art with which to decorate their bodies. For others however, the ink serves as a symbol of the kind of life they had, the events they went through in their past. Camille Preaker, a young journalist who had a brief stint in a psychiatric hospital, has a body covered in tattoos: GIRL across her heart, HARMFUL on her wrist, WICKED above her hipbone, BABYDOLL on her leg, NASTY on her kneecap, and WHORE on her ankle. This is Camille’s story. As she comes out of the psych hospital and back to her job, she is being sent back into her hometown to report on a double homicide of two pre-teen girls. Ever since Camille left her town she rarely spoke to her hypochondriac mother or her half-sister, a majestic and beautiful little girl with some kind of strange and mystical grip on the town. Camille decides that the best place to stay is her family’s Victorian mansion, although when she settles in memories start to haunt her, memories of an incredibly tragic event she did her best to forget. The investigation Camille leads into the lives of the murdered pre-teen girls is nothing short of eerie, as she identifies herself with the victims more and more with each discovery. Countless clues lead to dead ends… until Camille learns that everything is tied to the tragedy that befell her during her childhood. If she is to survive and unravel the truth, she will have to face what’s coming to her. How good is the book? Well, in a nutshell, it’s pretty damn good. There aren’t too many really intriguing and grizzly mystery novels out there that can capture your attention like this one does. Yes, some of the moments in it reek of deja-vu, but that doesn’t stop Gillian Flynn’s first effort from being simply enthralling. You are not only going to find yourself trying to solve the double-homicide, but you will also be dying to find out where Camille comes from in terms of the events she lived through… and how she came to have her morbid tattoos. A great read for fans of mystery novels. With the increased place electronics are taking in our daily lives it is quite easy to forget that only a few decades ago, books where most people’s favorite form of entertainment. After all, just like video games and movies, books allow the reader to escape reality, travel to a completely different universe… without forgetting that books are way more effective than any kind of media when it comes to feeding the mind and the soul. Author Markus Zusak looks into the place books occupied in people’s lives in his own book called The Book Thief. The story is centered around an accordionist’s daughter named Liesel living just outside of Munich during World War II. In order to get by she has to contend herself with petty thievery, stealing bits of food an junk from anyone she could. One day however a book caught her eye, intriguing her beyond belief: there were so many pages with something to say to her… but she couldn’t understand them. And so, with the help of her father she learned how to read and starts to focus her life on stealing books rather than anything else. Instead of keeping the books for herself or selling them, she actually shares the books with her neighbors during bombing attacks, without forgetting the Jewish fist fighter dwelling in her basement. All in all, while you are going to find some descriptions of the war in this story, most of it is centered around the life led by Liesel and the influence books had and still have on people. It looks into how books can feed our soul and keep the light of hope lit deep within us even in the darkest moments, providing means of escape from a cruel and tormenting present we may be forced to live through. A heartwarming read that will show how the human spirit cannot be conquered, even in the darkest days. Markus Zusak is an author from Australia whose most well-received and acclaimed books have been, so far, The Book Thief and The Messenger, novels geared towards young adults. In 2014 he won the annual Margaret Edwards Award, which in itself is a grand honor and only adds to his extensive list of them, which includes the 2001 and 2002 Honour Book, CBCA Children's Book of the Year Award, the 2006 Kathleen Mitchell Award in literature, and the 2009 Deutscher Jugendliteraturpreis. Presidents have always been fascinating figures for the public to observe. It can be kind of weird to process the fact that even though at the base they are regular humans just like the rest of us, they managed to raise themselves above everyone else and become leaders of an entire nation. As such, it should come as no surprise that millions and millions of people are actively observing and absorbing news about the president which fascinates them the most. Fortunately, there are journalists out there such as Edward Klein who have taken the time to look into presidential administrations to not only cover the lives of their members, but also to take a close look at inner political workings and such. In his latest book, Edward Klein published basically his inside scoop on the Obama administration, how he and his wife live, without forgetting the kinds of decisions he makes behind closed doors. Rest assured however that the book isn’t there to depict Obama as mankind’s savior, nor as the antichrist; it’s there to show Obama as he is to the people and why he made, makes and will make his decisions. As you can guess, Edward Klein isn’t too happy with the work done by Obama, going as far as naming his book The Amateur, probably in reference to the Obama administration which he mostly believes to be inapt at governing a country, mostly because of a lack of experience. Amongst other things The Amateur will reveal how Obama is in contradiction with the values of modern American society, why Bill Clinton can’t stand Obama, an explanation of the rivalry between Oprah and Michelle Obama, how Barack Obama split the Kennedy family, how his way of managing and creating foreign policies led to disastrous results, why Michelle Obama and Valerie Jarrett are the ones who are really in charge, and more. Edward Klein is an American author who is known for having written in-depth literature on the Kennedys, Hillary Clinton, and Barack Obama most recently. He holds an MS degree from the Columbia University School of Journalism, and his more famous books include The Kennedy Curse and The Amateur.